The Medical Alley Association’s government relations team has published their annual legislative session report, which lays out a detailed review of the 2017 state legislative session.  Our team worked on behalf of MAA’s members to drive and deliver policies that positively impact our health technology ecosystem. With a focus on patient access, innovation, and economic growth, the Medical Alley Association delivers the education, information, proposals, and solutions that drive public policy changes in Minnesota and Washington, DC. On Thursday, Medical Alley’s VP of Government Relations Genevieve Plumadore presented in an interactive webinar to membership a recap of the legislative session. 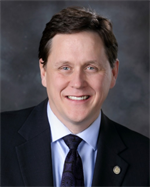 Representative Matt Dean (R-Dellwood) represents District 38B, which includes the communities of Hugo, Dellwood, White Bear Lake, and North Oaks. He was first elected to the Minnesota House in 2004, and is serving his seventh term. He served as the House Majority Leader for the 2010-2012 sessions, and is currently serving as the House Health and Human Services Finance Committee Chair. 1. Tell us about what you do for a living when you’re not serving as a legislator?Representative Matt Dean (R-Dellwood) represents District 38B, which includes the communities of Hugo, Dellwood, White Bear Lake, and North Oaks. He was first elected to the Minnesota House in 2004, and is serving his seventh term. He served as the House Majority Leader for the 2010-2012 sessions, and is currently serving as the House Health and Human Services Finance Committee Chair. Well right now, when I’m not serving as a legislator I’m running to be the next Governor of Minnesota! But before that, and before I entered politics, I worked in architecture and owned my own firm. Whenever my family goes on vacation, I love to be the cook. Wait, scratch that, when I’m at home, I’m the designated cook. One of my favorite dishes to make is one skillet stew, because it only requires one pan and minimizes clean-up! Minnesota’s health innovation community is important to me because it’s vital to the health and economy of the state. For as long as Minnesota has been around, our state has prospered by focusing on taking advantage of the resources we’ve been given, maintaining and building on our infrastructure, and caring for others and innovating through our healthcare system. The future of Minnesota’s prosperity is right here, and it’s in health innovation, which is such a vital part of our economy. In fact, we need to start being intentionally predatory on honing in on our success stories and future success stories by building an business environment in Minnesota that allows innovators to succeed here, and not be lost to other states. In terms of some legislative priorities that were successes this session, I’m proud that we were able to pass $2.5M of funding for biomedicine and bioethics innovation grants this session. I’m confident that the fund will help our state invest in innovation and continue to strive towards being a leader in healthcare. The creation of the fund sends a message that we want this type of research here in MN. In terms of what I wish hadn’t happened, I wish we didn’t raid the healthcare access fund, because in my mind, if we shortchange it now, we’re going to have to make up for it in future years. I think part of why I chose this word is because it’s my profession outside of politics. To be an architect, you have to see things from overhead – you have to know how to bring people and ideas together, and navigate problems until you find solutions. When you’re an architect, you have to see things through from the beginning to the very end. Newly appointed FDA commissioner, Scott Gottlieb, recently published his first blog post to the FDA website laying out his vision for the FDA. A focus of this first post was a new Digital Health Innovation Plan that is focused on fostering innovation at the intersection of medicine and digital health technology. Gottlieb listed combatting public health crises, efficient clinical decision making and the empowerment of consumers as only a few of the profound impact that digital technologies can have on health care. In order to create an environment of innovation, Gottlieb suggested that the FDA take steps towards reducing regulatory ambiguity at the agency in terms of digital technologies. Minnesota’s Medical Alley is positioned to be the leader in delivering a more effective, personalized and patient-centric approach to healthcare. Since 2012, investments in Medical Alley based Digital Health companies have increased by 540%, with 2016 investments exceeding $128M. With the launch of the site, digitalhealth.mn, Medical Alley is sending a message to the rest of the world that Minnesota is where the digital revolution is happening! The Food and Drug Administration (FDA) has announced that it will loosen regulations and restrictions for medical devices used to treat rare diseases in final rule that was released on June 6th. Congress established a humanitarian use pathway as part of the 21st Century Cures Act as a way to encourage medical device makers to develop products to treat rare diseases by waiving the requirement to demonstrate effectiveness under a humanitarian device exemption clause. The final ruling’s effective implementation date was June 7th. View the ruling here. On Thursday, National Institutes of Health (NIH) Director Francis Collins testified before the Senate Appropriations Subcommittee on Labor, Health, Health and Human Services, and Related Agencies. In his testimony, Director Collins thanked the committee for its firm support in funding NIH during the 2017 fiscal year. He moved on to inform the committee of the cutting edge research and breakthroughs have been a result of NIH, and the various partnerships formed between research institutions, universities, and private groups as a result of the financial support Congress has given. Director Collins urged the committee to reconsider its 2018 fiscal budget, which provides $26.9B in funding, $7.4B less than the current 2017 level. Collins emphasized that cuts in NIH’s budgets would turn back progress made by the organization, and ultimately hinder its efforts to advance its research. Director Collins closed his remarks by thanking the committee for its time and urging its support for a fully funded budget for the next budget year.